Seven games into his NBA career, Brad Stevens is proving he belongs. Sure, it is an extremely small sample size, but the Celtics have been competitive in every single game this season. Franchise cornerstones, Paul Pierce and Kevin Garnett, were shipped to Brooklyn over the off-season. Rajon Rondo, easily the Celtics best player, is still unavailable–recovering from an ACL tear he suffered in January of last season. Last night’s starting lineup? Avery Bradley, Jordan Crawford, Jeff Green, Brandon Bass, and rookie center, Kelly Olynyk. Sure, they are all NBA players, but they are not All-Stars by any means. 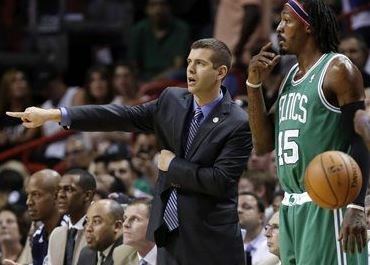 This should be a big problem for first-time NBA coach, Brad Stevens, right? Coach Stevens never had the most talented group at Butler, with the exception of Gordon Hayward, Shelvin Mack, and Matt Howard. Yet, he was able to guide a team, who many picked to lose in the first round, to back-to-back NCAA championship games in 2010 and 2011. Why? Team basketball centered on defense, fundamentals, and taking good shots. This is exactly what his Celtics are doing right now. The season started off slow for Stevens–losing his first four games as an NBA head coach–a losing streak he never experienced while coaching at Butler. The 0-4 start led to various writers and fans discussing the Celtics “tanking”–in hopes of getting the first overall pick in the draft and taking current Kansas Jayhawk, Andrew Wiggins. However, Stevens was not listening, and he has led the Celtics to three wins in a row–including a jaw-dropping, buzzer-beating win last night over the defending champs, Miami Heat. At 3-4, the Celtics are seventh in the Eastern Conference. Yeah, I understand there are 75 games left in the regular season, but as long as they can hang around until Rondo comes back, they have a good shot at making the playoffs–what would be a huge success for Stevens given the expectations around Boston coming into the season. The Celtics are 26th in the league in points scored per game with 92.7. This is to be expected given their lack of scoring fire power on the roster. 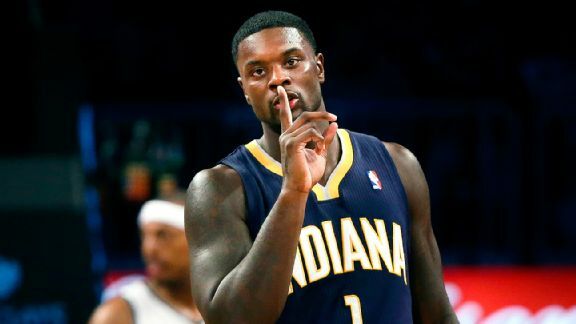 However, they are 7th best in the NBA in points allowed with teams scoring just 95.1 points per game against them. As the season goes along, his players will keep buying to buy into his system, and both the offense and the defense will get better. After Dwyane Wade’s boneheaded miscue at the free throw line, Boston had 0.6 seconds left–down 110 to 108. After the timeout, the ball was moved up past half-court for the in-bounds play–putting the Celtics in perfect position to get a chance to tie or even win the game. As we all can remember from Butler, Stevens was an in-bounds play genius, and this play was no different. Set up the game-winning shot to go to the player being guarded by the best defender in the league, LeBron James? No problem. A perfectly placed, off-ball back screen freed Jeff Green up just enough to get up his shot before the buzzer. A beautiful play, a beautiful pass, a beautiful shot, and a beautiful result. A typical “Brad Being Brad” expression. It resembled his reaction after Roosevelt Jones’ buzzer-beater against #8 Gonzaga in Hinkle Fieldhouse last season. I can’t root for Wiggins or Randle anymore. 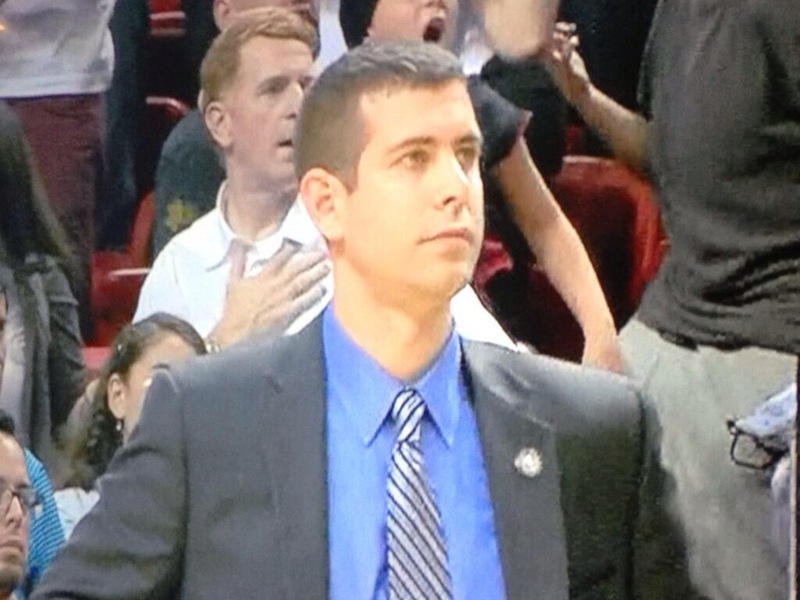 Brad Stevens is amazing. We’ve been in every game. Winning in Miami? BRING BACK RONDO!!! !